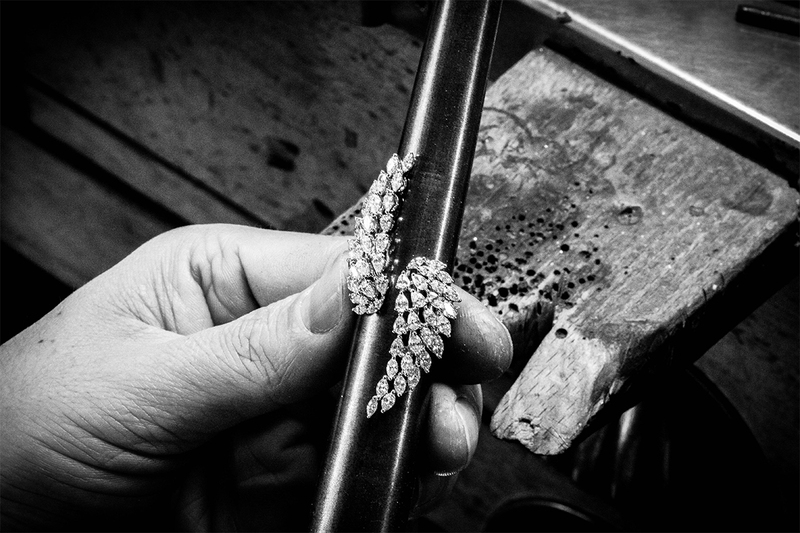 Growing up in the diamond industry, she learned from the best: her father. 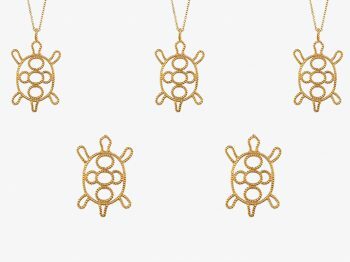 Ten years ago, Valérie Messika launched her jewelry brand. 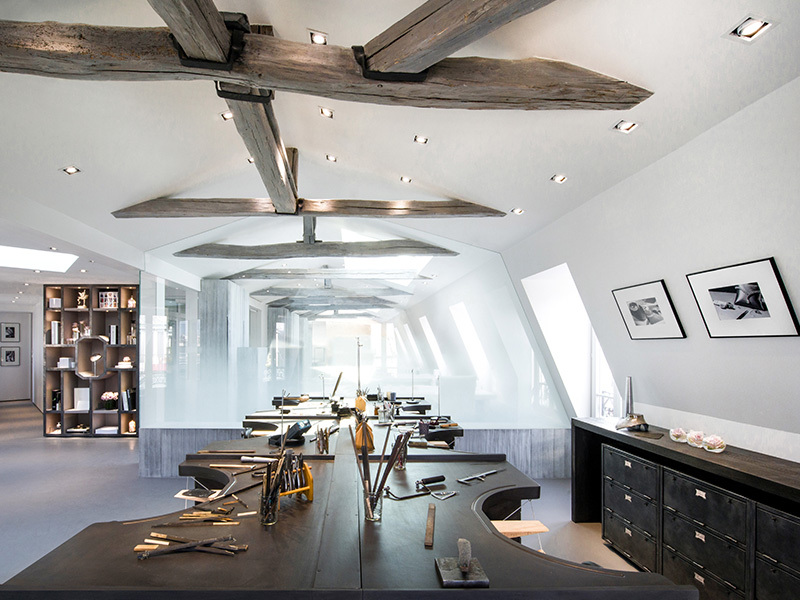 To celebrate her first decade anniversary she unveiled a modern high-jewelry atelier nestled in the center of Paris. Passing by the narrow entrance of a Parisian building, the doors of the elevators are closing after pressing the button to reach for the last floor. The sound of the restless street echoes in the stairwell. A small sign on the door indicates Messika. After the security formalities, we enter the enchanting world of Messika as if we entered the dreamed house our inner princess ever imagined deep inside of us. The architecture is pure, the furniture is white, candies fill some glass jars next to the reception desk leading the way to large stairs reaching the attic. 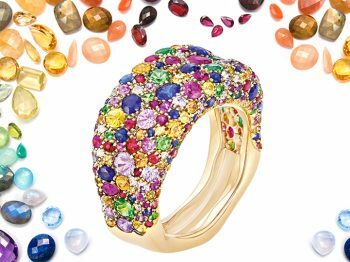 There, the Messika heiress set her high-jewelry atelier dividing the top floor into allocated spaces for polishing, setting, quality control and 3-D rendering. A space she managed to humanize her way. The color codes are respected … grey and white. Spiritual message fill the space of the walls. Images are posted tucked into mood boards in a cozy and homey atmosphere. If Marilyn used to sing “Diamonds are a girl’s best friend”… Valérie Messika is the living representation of it. She hand-picks, uses, knows, studies and masters diamonds like no-one else. 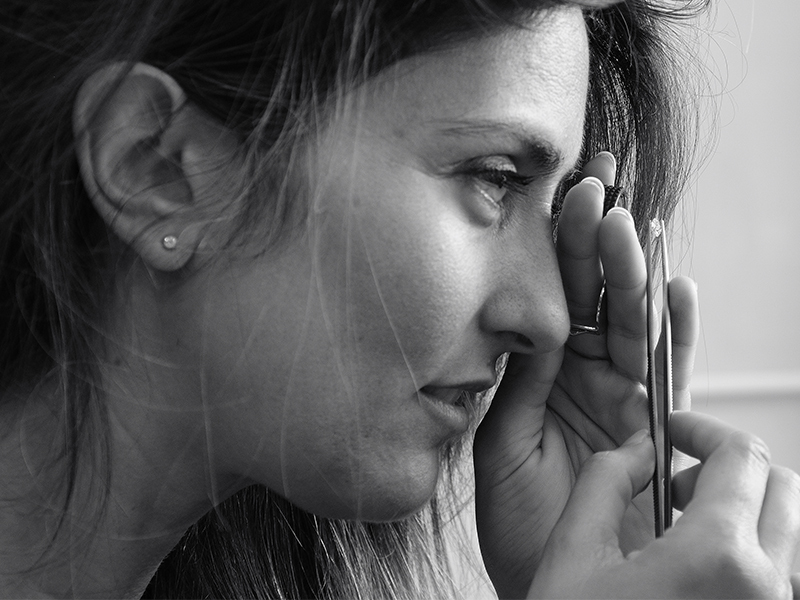 Her father, André Messika has been a trusted diamond dealer for the past fifty years, sourcing stones for the reknown names of the Place Vendome. Having direct access to the rough stones, Valerie decided to take the most advantage of it. 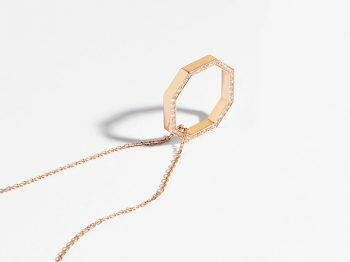 She launched the jewelry brand ten years ago hitting celebrity with her infamous Move collection. The brand has grown, so did the clientele, therefore, to celebrate the 10th anniversary of the brand, she decided to move one step further in positioning Messika as a modern high-jewelry brand offering one-of-a-kind unique and flabbergasting pieces set on white gold exclusively with carats of diamonds. Her foil? The ability and adamancy she pulls off when it comes to aesthetics. Valérie Messika makes no compromise. Her ultimate wish? Make sure that the metal disappears as much as possible. Her pride? The capacity her jewelers manage to leave some space between the stones and the settings as if diamonds were floating on the skin. Her specialty? The secret clasp. 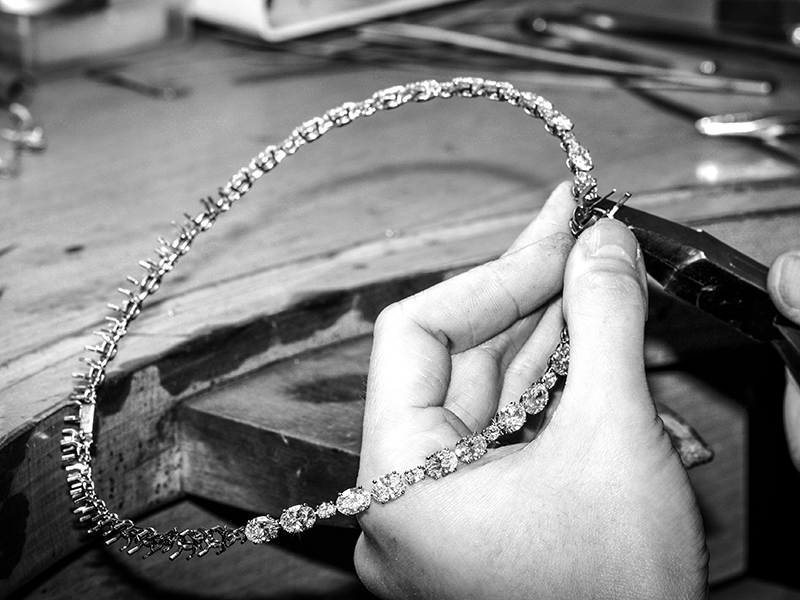 The Messika Ateliers do not differ from the traditional high-jewelry from the Place Vendome, to the difference that it reflects its founder: a stunning woman with a modern vision of a traditional skill she manages to bring to the modern and demanding society of spoiled women we live in.